I have decided to keep a gratitude journal. They are available everywhere now, titled and ready to record your thanks. But any kind of notebook will work. I’m feeling blessed right now. God has given me so many gifts and graces and I find that sometimes, because life gets in the way, I can forget to say a simple “thank you.” And because my needful prayers can sometimes consume me, that “thank you Lord” can easily be left hanging in the air. So, with pen in hand, I will pray my thank you in writing it down. The other morning sitting in my prayer chair, a book that had been closed for many years, caught my eye. I hesitated (don’t know why) but then picked it up and opened it to the daily reading. The book is called, “Simple Abundance, A Daybook of Comfort and Joy” it was written by Sarah Ban Breathnach. My mom gave me this book years ago. I had read it then and it became one of those books to keep. One that you don’t want to get rid of because you know whenever you are called to open it, it will speak to you. Well yesterday was that day! There it was, Gifts of the Magi. It was written with such simplicity and beauty. She lists seven sets of gifts, saying that the real gifts of Christmas were wrapped in miracles. Here are the miracle gifts that she writes about. The first gift was of Spirit, the Spirit of the Unconditional Love of God for mankind. The next gift came from a Jewish teenage girl, Mary, whose Christmas present was selflessness, the complete surrender of ego and will needed to bring Heaven down to earth. The gifts of her betrothed Joseph were trust and faith. The Infant Child brought forgiveness, wholeness, and second chances for God’s people. The angels’ gifts were tidings of comfort, joy, and peace, with the assurance that there was nothing to fear, so rejoice. The shepherd boy’s gift was generosity in giving Jesus his favorite lamb. 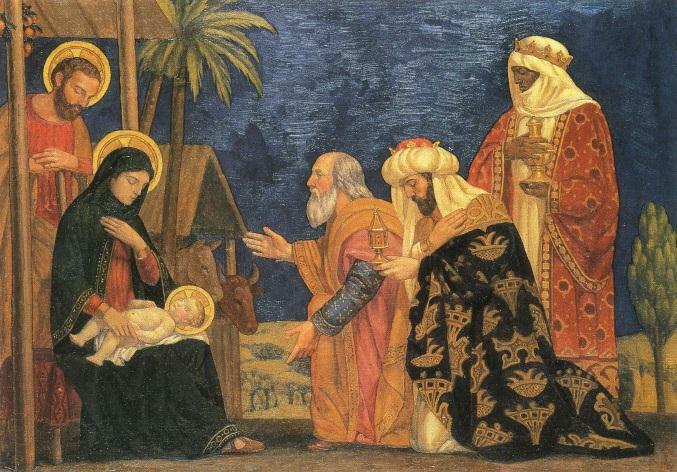 The Wise Men, the Magi, offered not only gold, frankincense, and myrrh, but their real gifts were wonder, acceptance, and courage. They offered wonder by surrendering logic, reason, and common sense to follow a Star. Accepting the impossible situation, they found themselves in, they suspended skepticism long enough to double-cross King Herod. With courage, they made the long journey to kneel before the Christ Child, accepting Him as King even though they found him in a cave lying in a straw-filled manger. And in the spirit of Christmas, we need to share these gifts of little miracles, to family, friends and even to casual acquaintances. Never forget that we are God’s hands on earth. And never forget that there are many times when God works his miracles through us. I hope each and everyone one of you has a very Merry Christmas and Happy New Year! May the Lord continue to bless you and your loved ones! 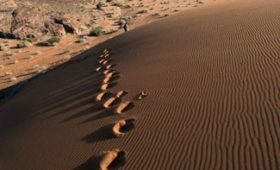 Prev PostPrayerful Path offers a different kind of Holy Land Pilgrimage! 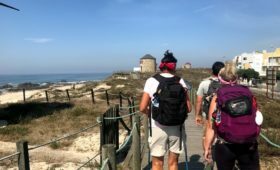 Next PostWe’re not tourists…we’re pilgrims!